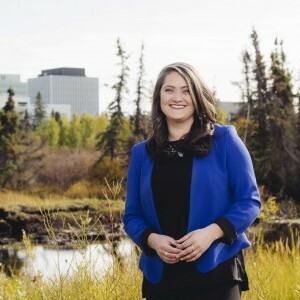 Ashley Brauweiler is CBC North's on-camera meteorologist providing Canada's Arctic with forecasts spanning across 4 time zones. Ashley graduated from Brock University with a degree in Physics, then further specialized in Meteorology completing her certificate from York University. Prior to moving north of 60, Ashley worked for 3 years as an operational meteorologist forecasting for some of the wildest weather Canada has to offer. Ashley's love of weather started at the early age of 5 and only grew stronger as she got older. Growing up in the Niagara Region, severe weather was a normal summertime occurrence and she would look forward to summers because of it. In school most of her projects were weather related and she was known for consistently watching the weather on TV. In effort to get closer to the weather action, Ashley joined the Royal Canadian Air Cadets where she obtained her glider pilots licence. This allowed her to soar and experience weather in a unique way which only further fuelled her desire for a career in Meteorology.